played with fire and passion! 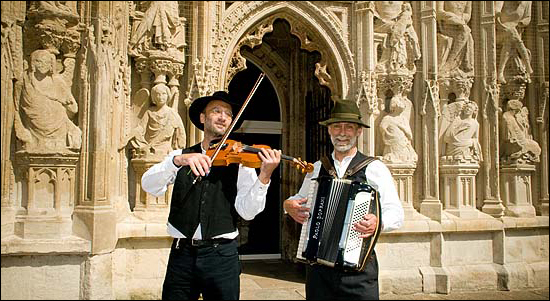 We are an accordion/fiddle duo with a passion for the music of Eastern Europe - traditional gypsy melodies, mazurkas, waltzes and Klezmer wedding dances. You can find us performing at festivals, weddings, parties etc. Our favourite gig is where we walk around as ‘wandering minstrels’ while we play. This un-amplified, acoustic style harks back to traditional entertainment from a bygone era.